So here it is; 1 of the 2 last conversions of Shadow of the Beast 2 and it’s a great improvement… in places. Just to recap, the Shadow of the Beast series charts the heroic rise of Aarbron; a human who was kidnapped as a child by the henchman Zelek, and transmogrified into a slave for the beast horde lead by Maletoth. It was only when Aarbron saw the sight of his father die before him that his past memories began to rush back to him. From this moment on he knew he had to avenge his father and destroy Zelek. The Shadow of the Beast series has never really been praised for its’ fantastic gameplay but I think the critics have wrongly accused the Shadow of the Beast games. These are games that use rhythm, precision and strategic thought to play them and because of this a large cult following has emerged. These are fans that will continue to replay until they can finally beat the game. If you can have the patience to do that then you’re in for a fantastic gameplay experience that is only made more rewarding thanks to the Mega CD’s power. 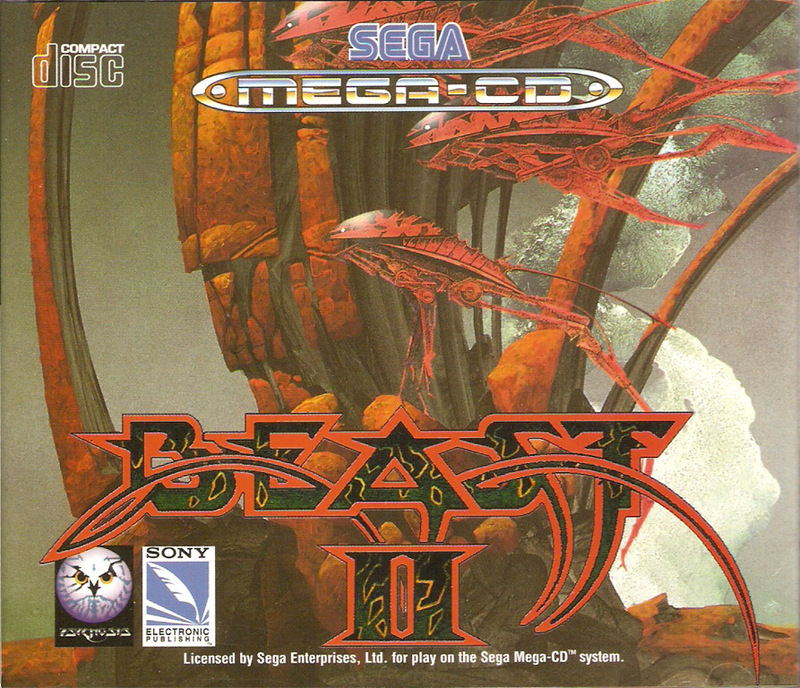 What Beast II on the Mega CD has that the other versions don’t is a CD soundtrack, digitised speech, full-motion video sequences, better graphics and improved gameplay that is a little more forgiving. But as I mentioned earlier, these improvements are only half as good as they sound. Take the soundtrack for example. The whole thing has been re-written and recorded in CD stereo quality and makes a great atmosphere for the game. But certain tracks don’t keep the original creepy and unnerving aura of the original game. The title theme has electric guitars which feel really out of place and the lift-music-styled theme in the Karamoon Oasis is just bizarre. Another problem is the movie sequences that appear when you go into different areas. While they’re great to watch some of them still don’t keep the foreboding atmosphere of the original game. Exiting the Karamoon Oasis and Barloom’s lair reveals beautiful rolling hills, lush grass, blue skies, waterfalls and wildlife; all things that feel highly out of place in Beast II. Seasoned Beast players will know the Beast games are about gloomy plains, underground dungeons and monsters that are ready to fire a projectile up your rear end for a good laugh at your expense. The final problem is the digitised speech. While it’s a great additional feature, are you really fussed? Would you wait for it to load to hear it? Maybe you would if it was good but to be honest, I think its one guy at Digital Developments doing all the voices. Half of them sound like strange impressions of Borat. 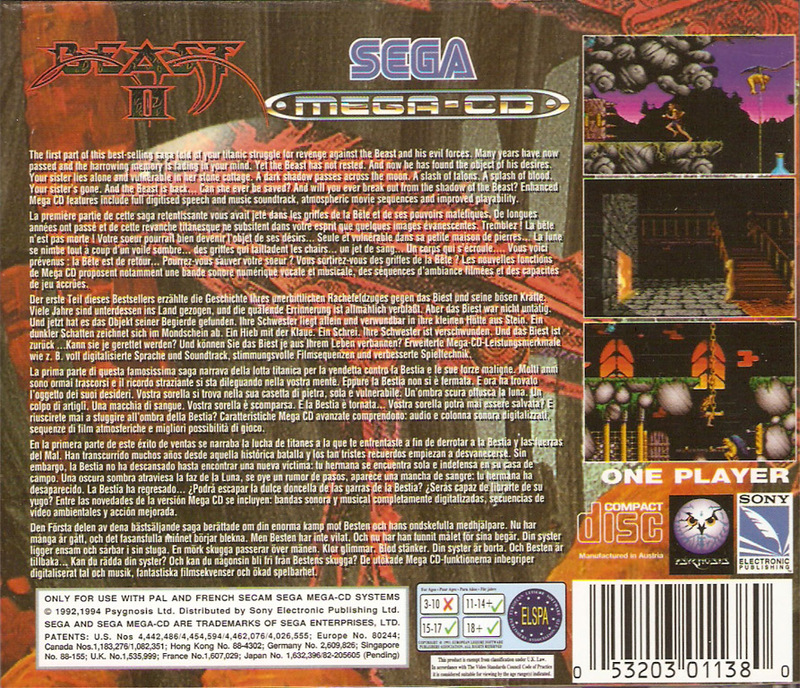 But these are all minor problems as this is a game dripping with beautiful presentation and you can see a lot of effort has been made to put the Mega CD version of Beast II up as the forerunner in Beast II conversions. A part from a few small alterations, the experience is just as flawless as the Amiga original but with all the added flair of a George Lucas special edition.